Brave the short, cold walk for a soak in the two-tier outdoor hot tub (seats 24!). Pull stools up to the counter and attempt to defend your hard-earned title. Ski-in/ski-out location means you can get right to it - no brushing the snow off your car or hauling your gear from remote parking. See what it's like outside before you go too crazy layering everyone up. 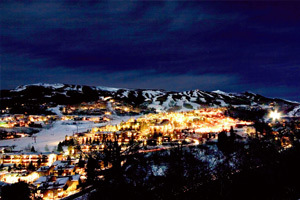 It's a 3 minute shuttle ride to Snowmass Ski Resort and the Village Express Lift. The sooner you're in line, the faster you'll be on the slopes. Skip the shuttle, the resort has ski-in/ski-out access. Warm up in one of the outdoor hot tubs - there are 2 at the resort. Listen for bird calls at Highline Trail, a 7 minute drive from the resort. Book a tee time at Snowmass Golf Course, just a 10 minute drive from the resort. A ski-in/ski-out Snowmass Village gem, Laurelwood is an enviable slopeside spot ideal for early morning mountaineers, and those who do their best to keep up with them. Even if you prefer to snooze a little later, you’ll still get your lift ticket’s worth, thanks to your convenient access to the trails. Once you’ve decided you’ve subjected yourself to enough physical exertion for the day, and call it quits – make your weary way back down and head inside for an easy après. Arrange a few wedges and rounds of cheese on a platter, slice a baguette, pour some wine and call it ready. Once everyone’s semi-thawed out, see who’s up for the two tier hot tub. It seats two dozen comfortably (yes, you read that right), so there’s easily room for your whole crew and then some. While you’re soaking, map out a plan for the rest of your stay. Interested in conquering the other local peaks? You’re walking distance to the four-mountain shuttle bus, so Paper, Rock, Scissors your way to a decision and head for Aspen, Aspen Highlands or Buttermilk. Both the queen and premier studios are individually owned and decorated, so each has a unique vibe of its own. Step out on your private balcony or patio with hot drinks after a day on the slopes and watch the last few die-hards schuss their way down. Full kitchens are well-appointed with everything you need for hearty breakfasts, plus top-your-own baked potatoes, tacos or chili dinners. See if anyone’s game for one last stop at the hot tub before collapsing in front of your wood-burning fireplace to swap stories from the day’s adventures. When all those contagious yawns start interrupting the conversation, declare it time to turn in for the night. Transworld Snowboarding Magazine named Snowmass the #1 Overall Resort, and thanks to the VIK (Very Important Kids) activities like juggling, crafts, bowling nights, sing-alongs and s’mores – the kids will give it an enthusiastic thumbs up as well. Curious about attractions beyond the slopes and trails? Check out the super-cool Snowmass Ice Age Discovery Center (shhh, don’t tell the kids it’s educational). After a young female mammoth was discovered here in 2010, experts excavated 5,000 bones from 41 kinds of Ice Age creatures, and you can see the highlights here. Got a crew of golfers? Book tee times at the Snowmass Club or any of the other five local courses. You’re walking distance to Snowmass Village Mall, if you want to pick up a new jacket or just browse for souvenirs. Summer is jam-packed with rafting, kayaking and fly fishing on the Roaring Fork River – plus popular annual events like concerts, Bike Park Nights and Farm-to-Table Tuesdays at nearby Elk Camp. - Guests that are planning to arrive after 10:00 PM must contact the property in advance using the information on the booking confirmation. - Airport shuttle service is available at scheduled times. Contact the property in advance to get details. This office is located 15 feet from the front door along sidewalk path.